Nick Auden didn't live to see the legislation, but the case of the Denver melanoma patient who died while seeking access to an experimental drug helped inspire a first-of-its kind law in Colorado. The "Right To Try" law allows terminally ill patients to obtain experimental drugs without getting federal approval. It's a proposal being advanced in several states by patient advocates who are frustrated by the yearslong federal approval process for experimental drugs in the pipeline. "There are experimental drugs out there that can and do save lives, and access needs to be expanded," said Auden's widow, Amy Auden of Lone Tree, Colorado. Nick Auden died in November at age 41 after unsuccessfully lobbying two drug companies to use an experimental treatment outside of clinical trials. Auden had acknowledged there was no guarantee the drug would work. Gov. 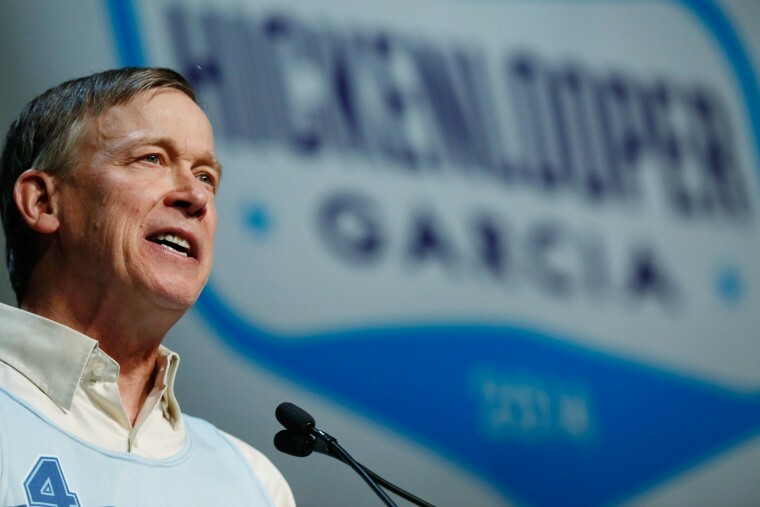 John Hickenlooper on Saturday signed Colorado's "Right To Try" bill, which was passed unanimously in the state Legislature. Similar bills await governors' signatures in Louisiana and Missouri, and Arizona voters will decide in November whether to set up a similar program in that state. Supporters call it a ray of hope for dying patients trying to navigate the red tape of existing "compassionate use" guidelines for obtaining drugs outside clinical trials. The process requires federal approval. "When you're terminal and there's a drug out there that might help you, it can seem that the obstacles to get that drug are insurmountable," said state Sen. Irene Aguilar, a physician who co-sponsored Colorado's bill. Aguilar dubbed the measure the "Dallas Buyers Club" bill, after the movie about a determined AIDS patient who smuggled treatments from Mexico because they weren't cleared for use in the U.S. But skeptics call "Right To Try" a feel-good campaign that won't help dying patients. The law doesn't require drug companies to provide any drug outside federal parameters, and there's no indication pharmaceutical companies will do so. A 2003 lawsuit to force the U.S. Food and Drug Administration to expand the availability of investigational drugs failed. A federal judge disagreed that terminally ill people have a right to access to investigational medicine, and the U.S. Supreme Court declined to consider an appeal. State-level approaches are an effort to circumvent the federal system, but critics say they won't work. "The FDA regulates drug development, and this doesn't do anything to change that," said Dr. David Gorski, a surgical oncologist and editor of the blog Science Based Medicine. Gorski said a drug company "wouldn't do anything to endanger a drug they're potentially spending hundreds of millions of dollars to bring to market" through elaborate FDA trials. Colorado's bill got a careful no-comment from state doctors' groups, hospitals and health insurers. The bill was amended to clarify that health care providers and insurers aren't liable if a patient who uses a drug outside clinical trials gets sick or dies.